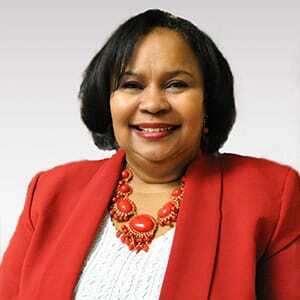 Lillian Ann Ford-Dyson is the Finance Director at Stange Law Firm, PC. Lillian Ann received a Bachelor of Science Degree with a doubled major in Business Administration and Accounting from Lane College located in Jackson Tennessee. She received a Master in Business Administration with emphasis in Finance from St. Louis University Chaifetz School of Business. Lillian Ann handles all the finances for all 19 locations of Stange Law Firm, PC. Before joining Stange Law Firm, PC, Lillian Ann worked for over 25 plus years in various industries that included Public Accounting, Banking, Manufacturing, Telecommunication, Food and Beverage, Mortgage. Lillian Ann is a wife of 33 years and mother of 25-year old and 20 year old daughters. She enjoys cooking, baking and traveling with her family.